Imagine making your mortgage and mortgage interest payments to a family member instead of a bank? They work exactly like traditional mortgages. There is a borrower and a third party institution that structures and manages the loan, as well as collects monthly payments. 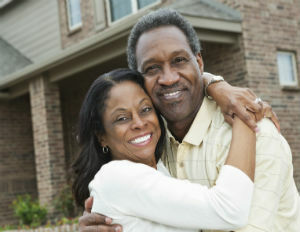 In addition, there is the lender, a family member, instead of a bank or financial institution like traditional mortgages. “Eighty-five percent of our clients are parents trying to help their adult children,â€ says Timothy Burke, founder and CEO of National Family Mortgage, the leader in the space. National Family Mortgage has done more than $330 million in loan volume. The largest individual loan has been for $2 million, and the smallest to date is $11,000. Burke says in addition to mortgages for home purchases, the company structures loans for down payments on homes, renovations, and refinancing existing mortgage balances. In addition to the monthly mortgage payment, which is determined largely by the size of the loan, the lender is getting a rate of return on the loan that is higher than interest rates they would earn in investments such as money markets and CDs. Interest rates are decided between the borrower and the lender, but they must be at least as high as the Internal Revenue Services’ Applicable Federal Rate, (AFR), which the IRS publishes each month as a guideline for assigned interest charges. The current AFR for loans that are nine years or more is about 2.24%. It’s 1.43% for loans between two and nine years, and 0.67% for loans that are less than two years. National Family Mortgage charges $875 for mortgages between $100,000 and $200,000. The fee rises to $1,075 for loans that are $300,000 to $500,000 and to $1,725 for those in the $500,000 to $1 million range. Loans that are more than $1 million cost $2,100. The company also charges $15 a month for its electronic payment service, which Burke says is the most popular payment option. Most payments are deducted on the first of the month. The borrower and lender also get a monthly statement and formal tax documents:Â A 1098 for the borrower and a 1099 for the lender. Are Investment Motifs Good for Your Portfolio?